Andrea Bocelli and Placido Domingo are two well established names in classical music and opera. Highly skilled, both the musicians have earned accolade and achieved international fame for their vocal talent. Owing to their astounding contribution they have been honored with their own stars at the Hollywood Walk of Fame. Now Andrea Bocelli Placido Domingo stage performance is bringing the two stars together for a mega musical event. Sorry, No tickets available for "Andrea Bocelli Placido Domingo". The maestro’s have toured all over the world winning over audiences with their vocal tone. Between them they have performed in front of various noted personalities including the Pope, American Presidents, British Royal family and numerous dignitaries. Andrea Bocelli Placido Domingo tickets are available to experience their exceptional vocal talent which has won over millions. The coming together of artists of such high caliber is sure to be memorable. Italian music sensation Andrea Bocelli started his musical career after winning a song competition in his native country. Since then he has released several chart topping albums which include classical, pop and opera recordings. Owing to his popularity he has performed at noted venues including the White House. Other venues he has taken to stage at include Statue of Liberty, Egyptian Pyramids, The Bellagio, John F. Kennedy Center for the Performing Arts, Madison Square Garden, Hollywood Bowl and MGM Grand's Garden Arena. He has also performed at the Academy Awards, Grammy Awards, NBA, UEFA and FIFA ceremonies. Bocelli’s worldwide sale of albums has exceeded eighty million copies. Eight of his albums have held the number one position in the US classical album charts. His album ‘Sacred Arias’ went on to be the best selling classical album by a solo artist ever. The artist’s single ‘Time to Say Goodbye’ is among the best selling singles of all times. The track stayed at number one in German charts for fourteen weeks. Not only has he achieved commercial success but he has also won several awards. These include World Music Awards, Goldene Europa Awards, ECHO Awards, Classical Brit Awards and many more. Impressively Bocelli holds the record for having three of his songs in the top three positions of US Classical Albums charts at the same time. This distinction also saw his name being included in the Guinness Book of World Records. His collaboration with Celine Dion for the soundtrack of the animation ‘The Quest for Camelot’ won him a Golden Globe. Other artists that he has performed alongside include Mary J. Blige, Pavarotti, Renée Fleming, Maria Luigia Borsi and Hayley Westenra. Be part of the Andrea Bocelli Placido Domingo event to see a winning performance by the artist. The list of Spanish artist Placido Domingo’s distinctions is extensive as well. He has won eleven Grammy Awards and has also received Presidential Medal of Freedom among other international honors. The artist comes from a family with a history in performing arts and hence had exposure to music at an early age. He was brought up in Mexico where he received formal training at the Conservatory of Music. Later he started opera performances across the US. From there he went on to hold performances across the globe. Impressively the artist sings in six languages. He has performed at various noted events including Olympics, FIFA World Cup Final and the hundred year anniversary of Real Madrid. A celebrated name in opera, Domingo has performed in many countries including Italy, China, UK, Israel, Germany and Spain. He has also served in the position of Director for Washington National Opera and Los Angeles Opera. The artist has released over hundred recordings. In addition to giving stage performances he has also made a few Opera films. Additionally Domingo has played a cameo role in the TV series Simpsons and has lent his voice for the Disney animation Beverly Hills Chihuahua. Get Andrea Bocelli Placido Domingo tickets to see a performance by the maestros. 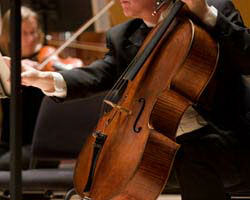 Given the talent and achievements the artists the event is sure to make for a quality music performance.